Are you near Greenville? How about some free veggies?!?!? 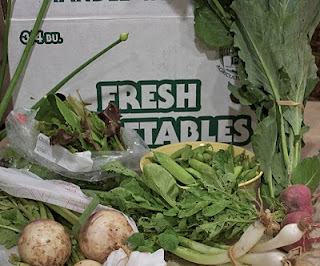 Have you seen these recent photos of the great veggies we're getting from Limestone Farm's CSA? 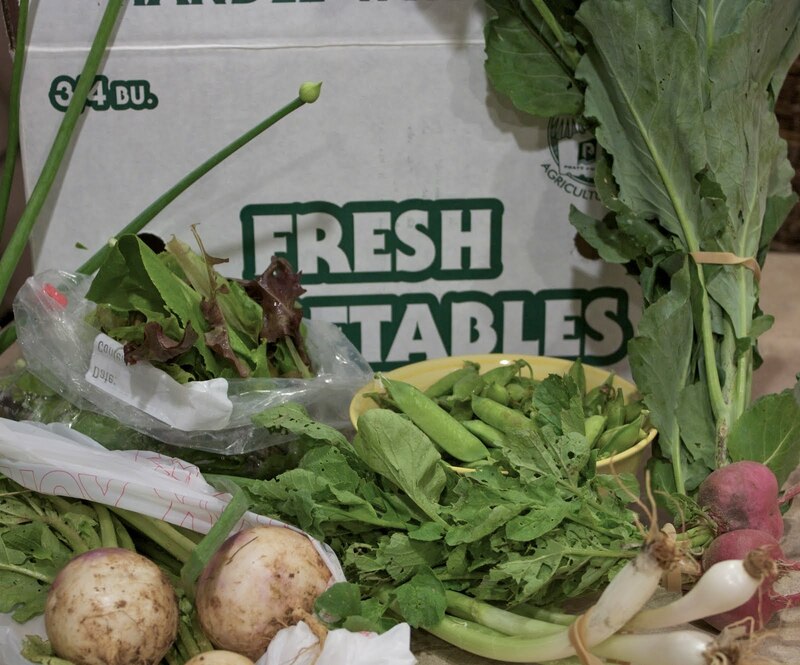 Ever thought about trying a CSA but wasn't sure it was for you? Enjoy eating fresh, in season veggies?? Well then, I've got a deal for you! For the next two weeks - June 5th and June 12th - I'm going to be unable to pick up my CSA share, so the great folks at Limestone Farms have agreed to help me give them away. Free. Yup, seriously free. Not a catch at all! All you have to do is ask! All you need to do to claim the free veggies is be the first person to stop by the Limestone Farms booth at the weekly Greenville Farmer's Market and ask for them! The Carolina First Saturday Market is held each week, rain or shine, from 8am til noon in downtown Greenville. Check out their site to see some of the other vendors - we're loving the hydroponically grown veggies, breads and the fresh pastas! If you're a twitter fan, be sure to check out the Saturday Market at: @GvilleSatMarket and use hashtag #satmkt on your tweets! Limestone Farms can be found at: @LimestoneFarms. Facebook more your thing? No problem you can find them both at Carolina Saturday Market and Limestone Farms. Hope you all enjoy! Go get those veggies - FREE! Sorry I'm so late in responding. Just finally getting caught up now from vacation! I'm glad you were able to enjoy the veggies! I'm glad your 13-yr old enjoyed them too - that's a tough age sometimes!! Kathie, It is a tough age... but that boy can EAT! And what makes me happy, is that he would rather have good "whole foods" than junk!! :) He came home from a camp and asked if we were having lots of veggies that night for dinner. It makes my heart SO happy!! Thanks again!